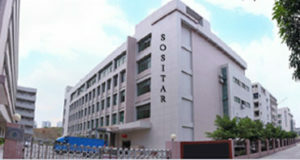 Shenzhen, China, and was established in 1998, Sositar Mould Co.,LTD specializes in various plastic moulds parts for automotive, home appliances, medical equipments, electronics and sporting equipments, as well as general industrial OEM applications. Our factory is more than 3,800 squaremeters workshop in size, and is very near to convenient transportation. At present, we have more than 150 experienced toolmakers in china and capital assets of more than 15 million RMB. we have the capacity to produce 60-80 moulds per month.We are capable of producing injecting molded parts with weights up to 1500g or in presses up to 650 tons, building various kinds of plastic moulds and die casts ranging in size up to 8500*1000*8500mm. We are a injection mould company that offers a one-stop solution for customized mold and plastic parts production, Sositar constantly is using web based tools to reduce the cost of marketing and management. This also improve our efficiency of mold building, molding and customer communication. We aim to become the best platform where our engineers appreciate their value, and customer get best product and service for a solid value in price! We will keep all business secret for customers and do not disclosure any technical or non-technical information! It is important for us to encourage all team work together to face all challenges and to achieve our target. Our partnership with our customers are based on mutual trust and we only do what are the best for our customers! We have always been insistent that employees are the basis to ensure high quality products and we emphasize the development of both employees and company. We employ many experienced mold makers, actively manage our talented and professional mould making engineers. Equipment in Sositar are mainly imported from Switzerland and Taiwan. They are 21 Milling Machines (17 imported, and 4 domestically made), 6 CNC machines, 11 Charmilles EDM machines, 10 Grinding machines, 4 Lathes, 7 Wire Cutting Machines,10 Injection Machines ,CMM, a Video Measurement System, a Slow-Feeding Linear Cutting Machine and various auxillery equipment.